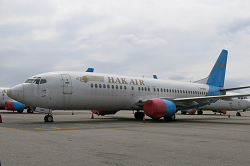 The 777 was taxiing for departure to runway 18L(eft) along the eastern parallel taxiway facing north, the its right outer wing sliced through the tailfin of a Hak Air Boeing 737 resulting in substantial damage. It appears the 737 was parked outside its marked parking area, narrowing space for larger jets taxiing behind. 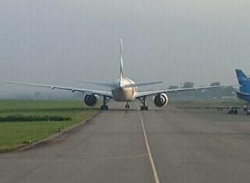 The pilots of the Boeing 777 already departed the taxi centreline to the left in an alledged attempt to avoid conflict with the parked aircraft on the right side. The flight was subsequently cancelled. 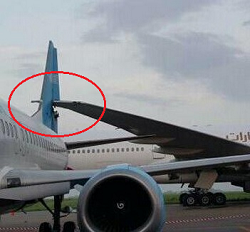 The identity of the 737 is unknown at present. 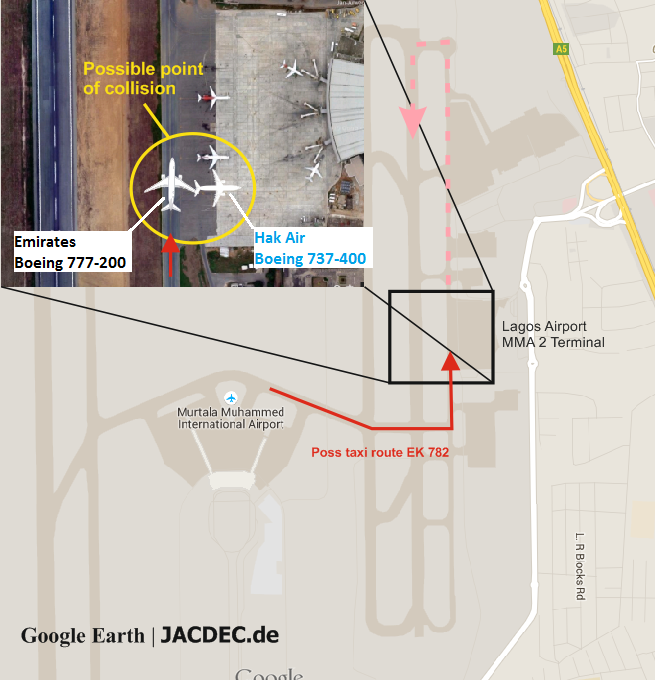 Nigerian press reported that according to the latest NOTAM the eastern taxiway was closed for larger jets.